WhatsApp leak site WABetaInfo claims the feature will be aptly called Vacation Mode, which will allow users to stop archived chats from reappearing if they are muted. Recent reports have revealed, WhatsApp is working on launching a host of new features soon, which may include the option to switch to Vacation Mode. The new feature will indefinitely hide muted chats for users who want time away from specific groups, without resorting to ignoring or deleting the app completely. 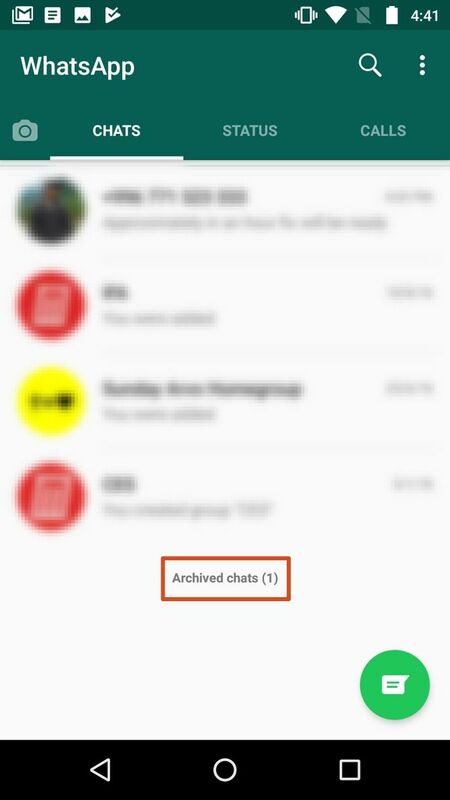 As of now, archived chat(s) keep reappearing whenever a new message is received; this happens even for muted chats. This feature will have an on/off option in settings. When the users are ready to see the muted archived chats, they will reappear once Vacation Mode is turned off. WABetaInfo says the feature is under development and is based on a new feature just rolled out for Android WhatsApp users called Silent Mode. Silent Mode works with the Android feature called App Badge, that shows a number on an app's icon indicating the number of new notifications received – for example for Facebook, Twitter, and mobile games. So, this mode will be an upgrade to the mute function. The third feature that WhatsApp is likely to be working on is an option to link WhatsApp accounts to external services like Instagram. "The feature appears mainly developed for WhatsApp Business, but some references were found in the normal WhatsApp app too. It's not available yet for both apps," says WABetaInfo. It adds that the purpose of the linking is unknown, but theorises that the feature will help users to recover their password or automatically share status updates in Instagram. New WhatsApp stickers update allows you to create your own stickers. You can find WhatsApp stickers in an icon right next to the emoji and GIF icons in the emoji menu. upcoming features before they hit the stable version. You have to keep in mind that it is an unstable version, so you might see a few bugs every now and then. If you’re not happy with the stickers provided by WhatsApp, you can create some yourself. WhatsApp has provided an elaborate guide on how you can do so— you can read it here . This might require some amount of experience with Adobe Photoshop and basic image editing. The stickers need to have a resolution of exactly 512x512 pixels and should have a file size of less than 100kb. We are sure once you get the hang of it, you’ll be making memes in no time. What version of WhatsApp has stickers? To check your version, find the settings for WhatsApp look for "help" - your version number should be at the top of that page. 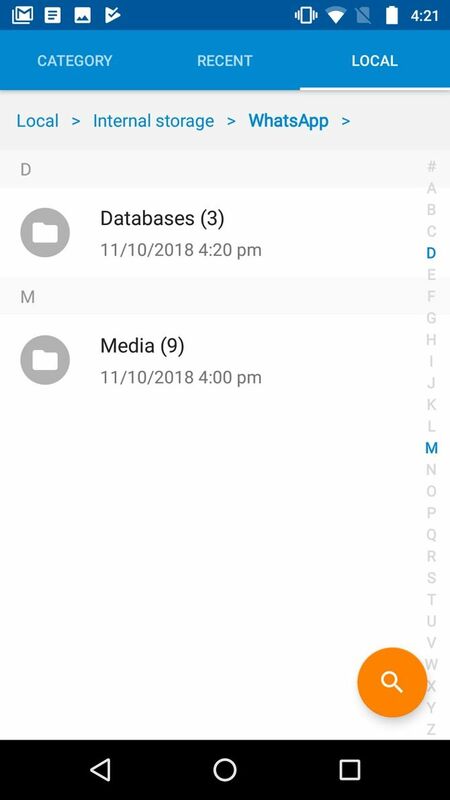 In this tutorial, we’ll show you how to get deleted WhatsApp messages back. And then teach you to set up an advanced WhatsApp backup plan so you will never lose any of your WhatsApp messages again. 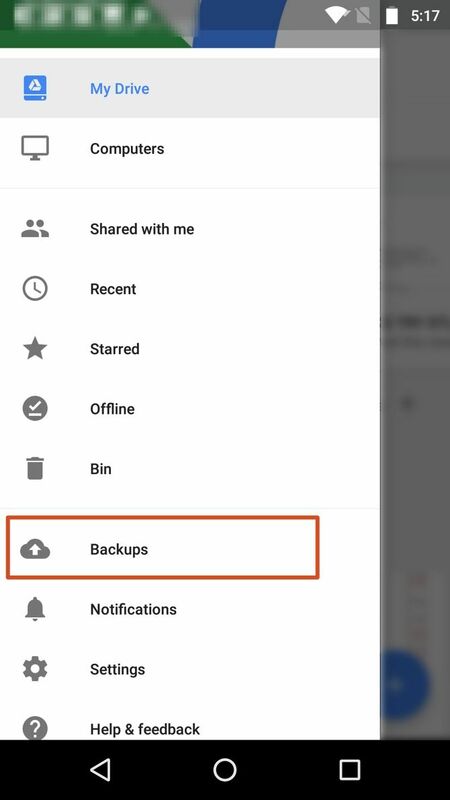 In order to recover deleted WhatsApp messages, you need to enable “Chat Backup” in Settings. If the chat was archived a while ago, you can still recover them. In iOS, scroll up in the chat list until Archived Chats appears. Tap on it, then swipe left on the chat you would like to restore and tap “Unarchive”. 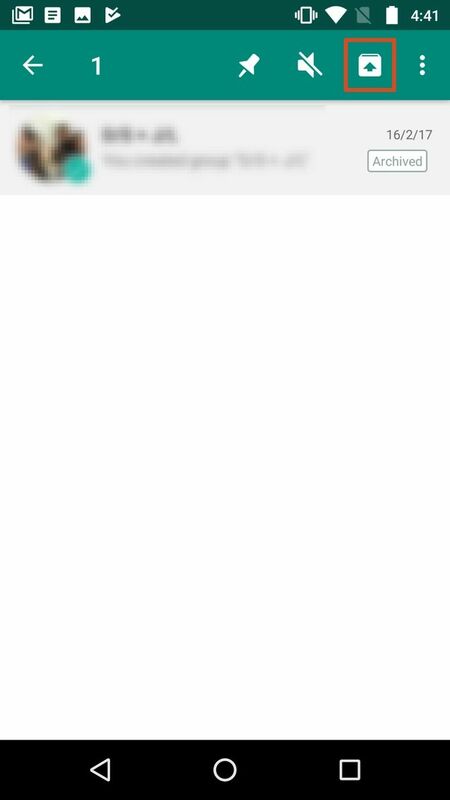 In Android, tap on the “Archived chats” text at the bottom of the chat list. Tap and hold on the chat you would like to recover and then tap on the “Unarchive” icon. 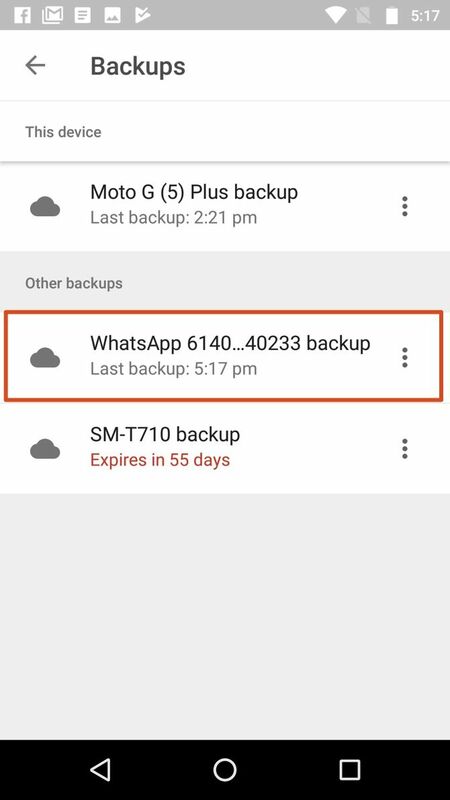 It’s surprisingly simple to retrieve deleted WhatsApp messages, but it has to be within your selected auto backup frequency. 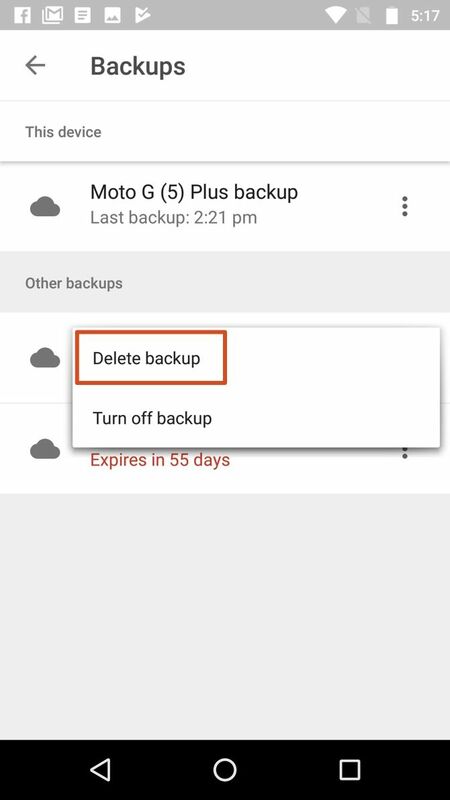 For instance, if your auto backup frequency is set to daily, then you can easily recover any deleted chats before the next backup occurs. Done. 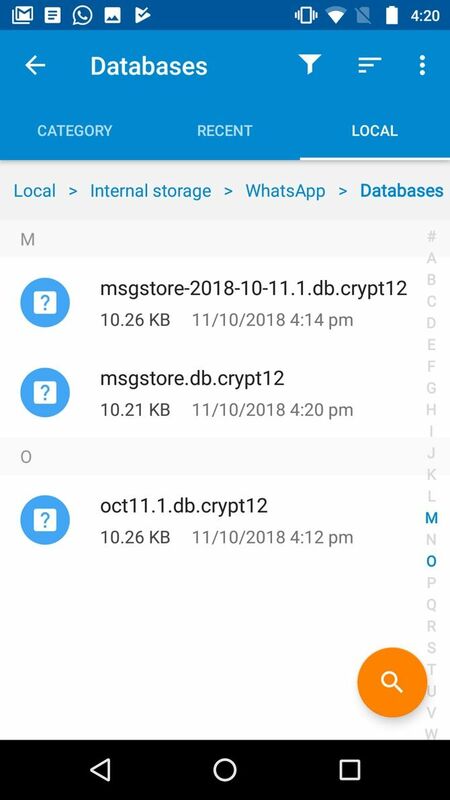 This method of recovering deleted WhatsApp messages works on both Android and iOS. 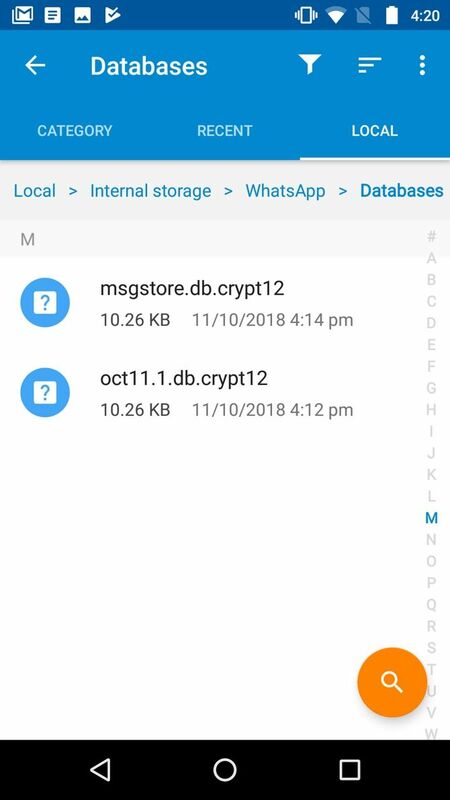 Open your device’s File Explorer, and navigate to WhatsApp > Databases. 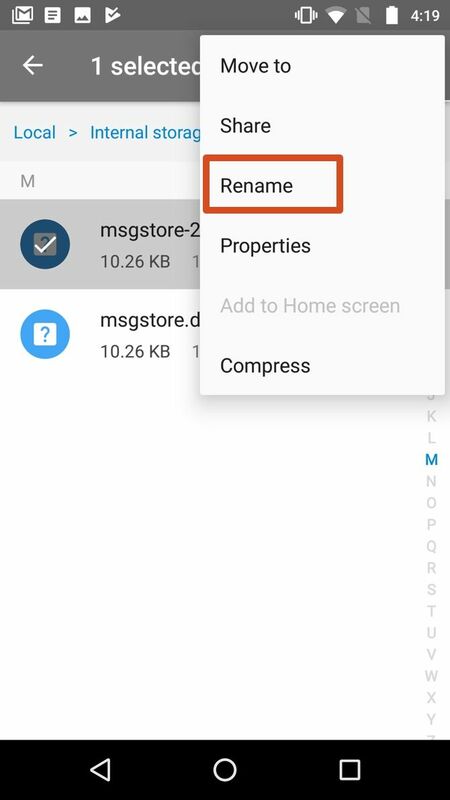 For more information on how to browse Android folders, please read our beginner’s guide to Android. 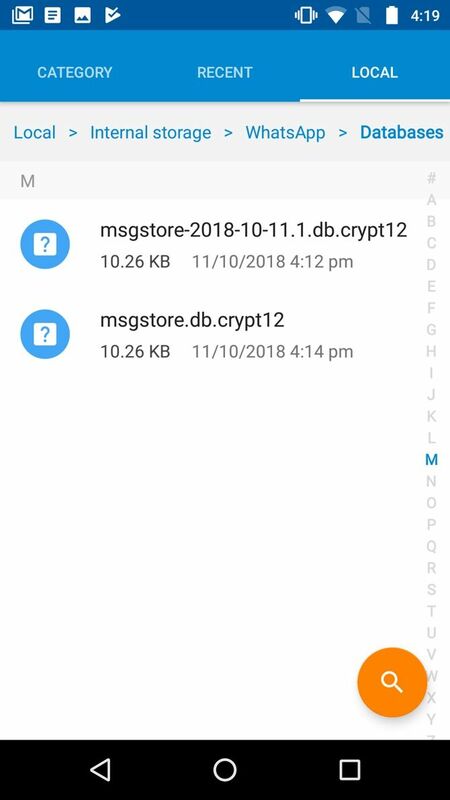 Within that folder, you’ll find the two chat backup files, named msgstore.db.crytp12(which is the most recent backup) and the other formatted msgstore-YYYY-MM-DD.1.db.crypt12 where “YYYY-MM-DD” is the year, month, and date respectively. It may come as a surprise, but when you delete images and videos from WhatsApp, they aren’t really erased until you delete them. Therefore, recovering WhatsApp images and videos that you have deleted from the chat is fairly straightforward. Accidental deletion of messages is a common problem across all messaging platforms—not just WhatsApp. Worse, you could have accidentally deleted some important documents, like Microsoft Office files. Thankfully we can also help you to recover deleted Microsoft Office files. You can repeat our advanced backup strategy as many times as you want. And without much in the way of effort you will be able to go back further in time to recover deleted WhatsApp messages. Now that you’ve averted disaster you should learn more about how WhatsApp works. And to help you out we’ve compiled a list of the best and latest WhatsApp features everyone should use. Enjoy! Take a look at "Personal stickers for WhatsApp"
Hey I’m Tushar Patil, I’m a Mechanical Engineer & also a Technology Geek & Gamer. I love New Technologies and Games. I have Youtube Channel “Tech Tush” on which I upload videos about New Tech And Games. Subscribe If you Like it.